Our firm, Yeretsian Law, can represent you if you are accused of any of these types of fraud or many others. 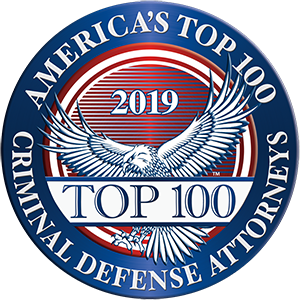 Our founder, Lara Yeretsian, is a veteran criminal defense attorney and understands how the prosecution will view your case. Lack of intent to commit fraud. Sometimes, mistakes happen, but there is no desire to deprive the person bringing the charges of what they were promised. Insufficient evidence. The level of evidence required to convict is subjective and a case can be made that your situation does not meet it. Good faith belief. If you genuinely believed that your actions were legal and proper, this can be a defense similar to the lack of intent concept. Duress. If you acted fraudulently because you had real reason to fear for your own or your family's safety because someone was threatening you, this may be a potential defense strategy. Our firm will listen carefully to your story and advise you about what actions are most likely to lead to a positive resolution of your case. Even after you have been arrested for a fraud crime, you have due process rights and are innocent until proven guilty beyond a reasonable doubt. Our firm's lawyer can study the evidence against you and counter it with a strong defense. Call us in our Glendale office at 818-741-1220 or use our online contact form to set up a free case consultation. We serve all of greater Los Angeles.